What are the benefits of smart trucks for your business? 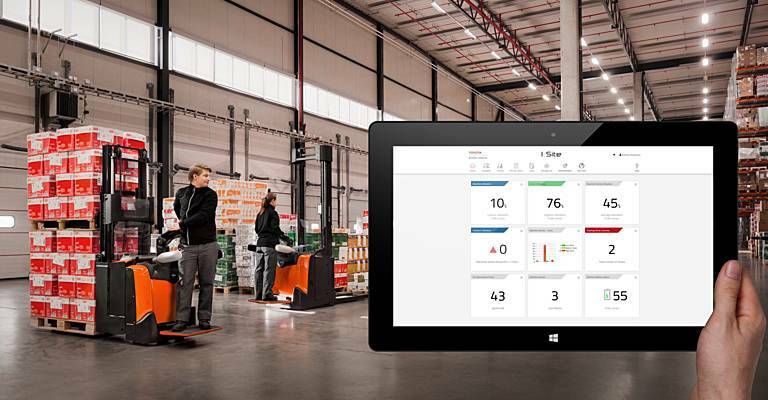 Smart trucks provide you with the opportunity to connect to the I_Site fleet management system from Toyota and access the right information to be in total control of your operation. The application even allows you to take action from a distance if necessary. 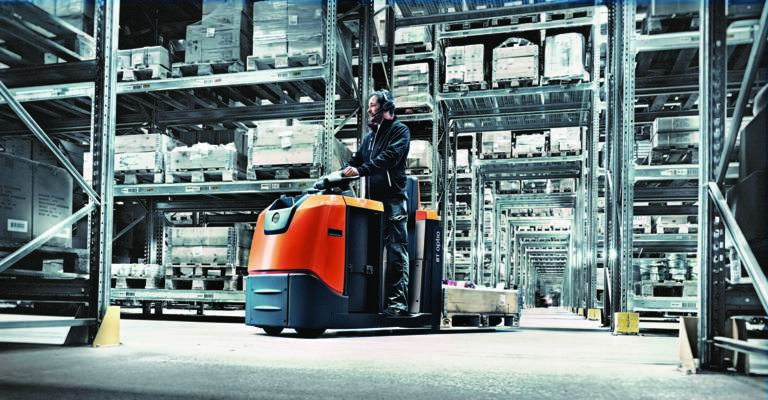 Whether you are a one-truck customer or have a big fleet of forklift trucks across multiple sites globally. 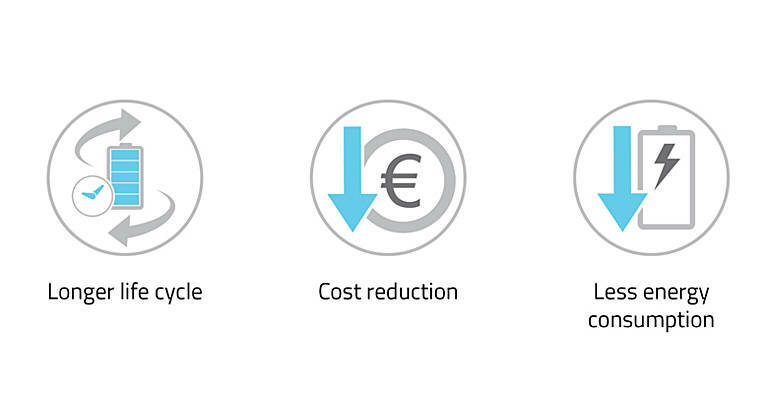 Here are some examples of how smart trucks can improve your business – for a maximum value-added operation with extreme optimisation, and zero waste in energy, time and space as a result. Gaining a complete overview of your logistics operations, especially if you’re taking care of multiple sites, is not always easy. This can lead to lost time and waste in multiple areas that you might not be aware of. 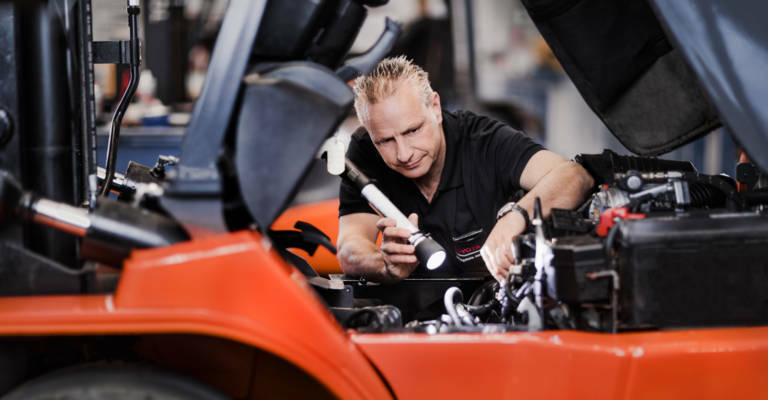 Did you know that the average utilisation levels of a forklift fleet is only around 35%? This means 65% is waste that can be eliminated, whether it’s lost time, cost or damage. 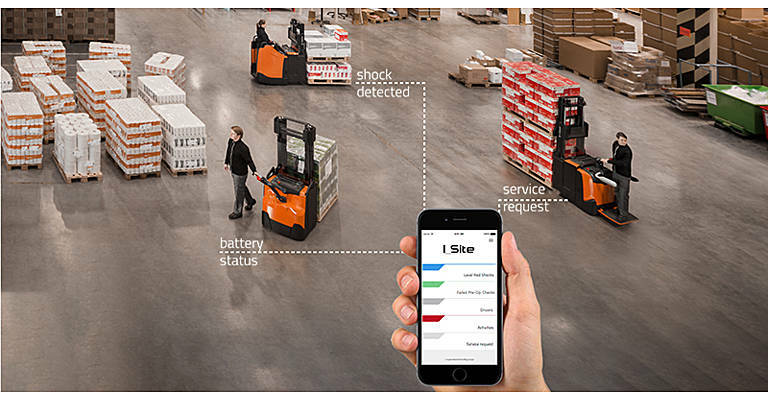 With smart trucks you’re able to accurately track and improve machine utilisation. Toyota's existing I_Site data, derived from all connected smart trucks already in operation, shows that most companies can eliminate substantial waste in resource by improving utilisation levels. This can even result in fewer truck requirement levels as you start to use data to improve truck planning. But we recognise this to be the responsible route to take as resource suppliers and business partners. Whether you have one truck or an entire fleet operating in your warehouse, a detailed overview of your drivers’ training can be equally as challenging to obtain. 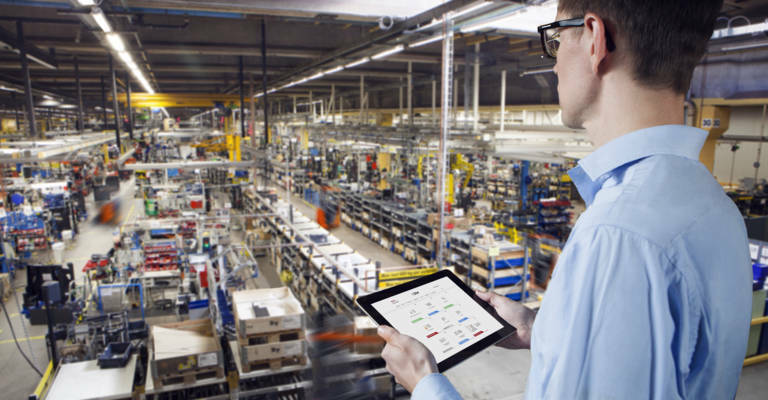 Nevertheless, it’s essential for the productivity levels in your warehouse that drivers are correctly trained, regularly retrained and in possession of a valid licence, which is easy to track in the I_Site application. When you have a business with multiple sites, it can be difficult to keep track of all activities, let alone measure exactly and compare. With smart benchmarking, assessing and comparing truck performance across different sites becomes easy, allowing you to take action where necessary. It’s a constant effort to create a safe workplace where accidents are prevented to keep drivers from being injured. To prevent these kinds of risks in your warehouse, you can use I_Site to control the speed of your smart truck and lower the chance of collisions. In case a collision should still happen, this not only can damage your forklifts, but also the racking in your warehouse, the loads, and of course injure drivers. Thanks to the shock sensors on the smart trucks you can have an overview of the impacts registered, when and where they happened, and at which speed. This way you can make the problem visible (Jidoka) and go to the source (Genchi Genbutsu) of the reason behind the collision and prevent it from happening again. You can make sure trucks go into creep speed after an impact, only able to perform at full capacity again after being reset by authorised personnel. Keeping track of which employees are authorised to do this, and which drivers are allowed to drive certain types of forklifts is also easier with I_Site. The application can request drivers to do a pre-operational check and perform a safety procedure before starting up the truck. When you’re not on site, or when you have multiple sites, it’s not always easy to stay in control of your operations, or to take action from a distance. Thanks to the I_Site mobile application, you can be aware at anytime of what’s happening, wherever you are, with the possibility to take action if necessary. It’s absolutely necessary that your trucks are running when needed, and to prevent them from breaking down quickly. 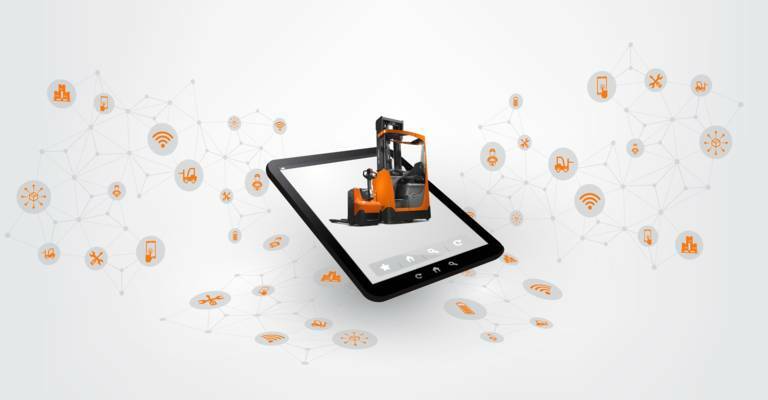 You can use I_Site to analyse so you can improve the operational efficiency of your material handling equipment and extend the machine lifetime of your fleet. The same goes for the battery: it’s essential that it’s energy-efficient and doesn’t need a lot of maintenance, but keeps the truck running. Therefore you can monitor and optimise battery usage to guarantee this, for a longer battery lifetime. 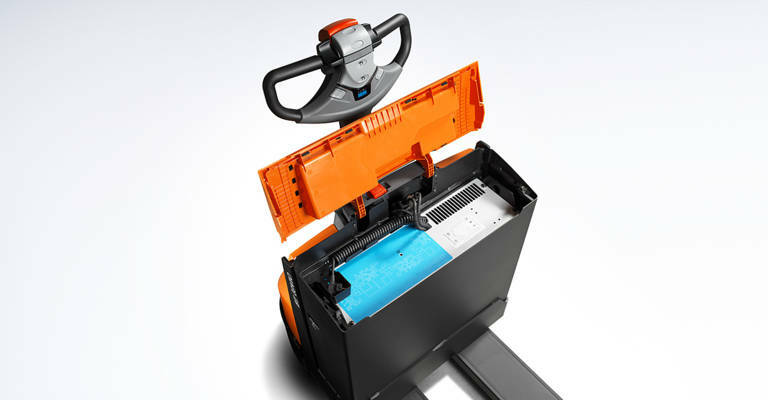 Interested in learning more about the advantages of Lithium-Ion batteries? Total cost of ownership is one of the main focus points within a logistic operation, since costs can easily add up, especially when you don’t have a detailed overview of all activities and their related costs within the warehouse. By tracking truck utilisation, you can easily determine how your fleet size and processes can be optimised to lower your operational cost. Monitoring the way your equipment is being handled and taking action where necessary will also bring down the frequency in maintenance, lowering your service costs. Accidents and damage cost is another recurring problem. With all the safety features offered by I_Site you can immediately tackle and avoid this. At the same time, this will also help you to bring down insurance costs. Have a look at our full range of forklifts, including reach trucks, pallet trucks & order pickers. 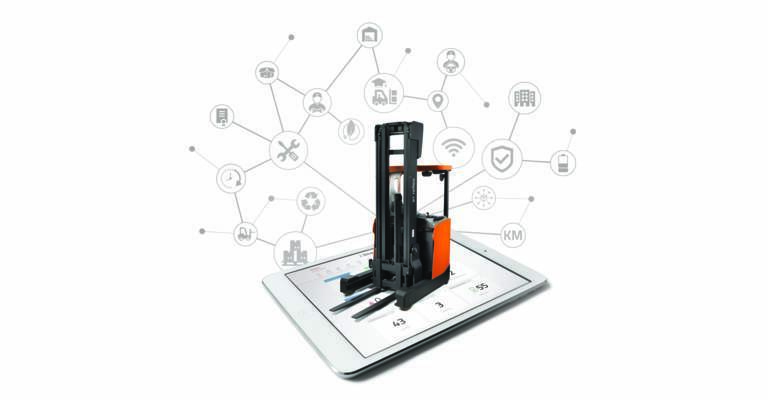 Read more about connected and smart warehouse truck. Our service plans keep your business up and running. Get the most out of your trucks and plan your operation with complete confidence! Don't miss our employment opportunities.